Our Personal Injury Attorneys Represent Clients In Fayetteville, Peachtree City, Tyrone, Woolsey, Brooks and All Of Fayette County. Having any kind of accident, including an auto accident, can be upsetting as well as devastating. Once the initial shock wears off and you’re home from the hospital, you’re left to pick up the pieces. 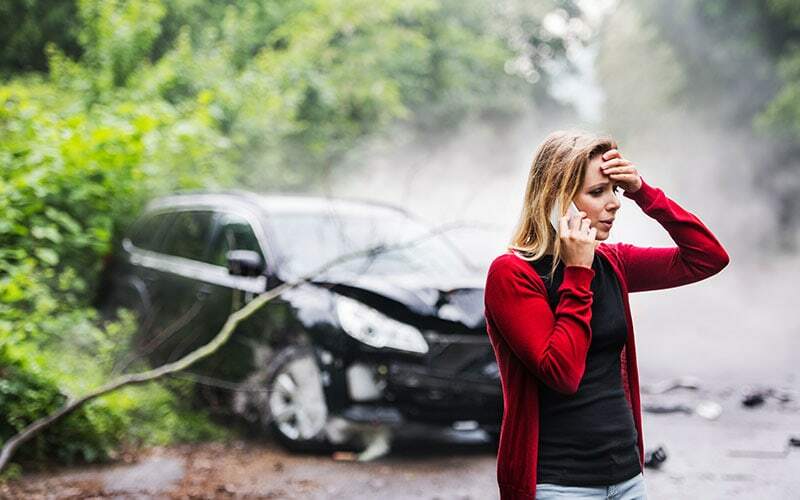 The aftermath of an auto accident or other personal injury is confusing, complicated and not something you may be ready to deal with on your own. It’s time to pick up the phone and contact a personal injury lawyer in Fayetteville, GA.
You’re faced with medical expenses, rehabilitation, property damage and repair bills, all while you’re hurt from an accident. You may not be able to work for a time, while bills continue to arrive, demanding to be paid. Don’t try to handle this alone. Get the help you need while you recover. The Graham Law Firm can help you wherever you are in Fayetteville, or throughout the state of Georgia. If you’ve been in an accident that wasn’t your fault, you were likely injured because of someone else’s negligence. Negligence happens when an individual (or even a corporation) causes an injury through a type of irresponsible or careless action or omission. Success in a personal injury or wrongful death claim depends proving that the accident was caused by someone else’s negligence. In some cases, the other party failed to take an action that could have prevented the accident, such as not marking off or cleaning up a slippery spill in a grocery store. In others, it’s the willful negligent actions of the at-fault party that caused the accident. After you’ve been injured in an accident, you need time to take care of yourself and heal. Unfortunately, that’s not always what happens. Insurance claims, medical appointments, and testing and other demands on your time are exhausting. You may even find yourself fielding phone calls from the other party’s insurer offering you a quick settlement. Don’t talk to them—talk to The Graham Law Firm first. Big Truck Accidents—trucks haul our food, medicines, and fuel. But an accident with one can be devastating. Our personal injury attorneys have the experience necessary to help you through the process. 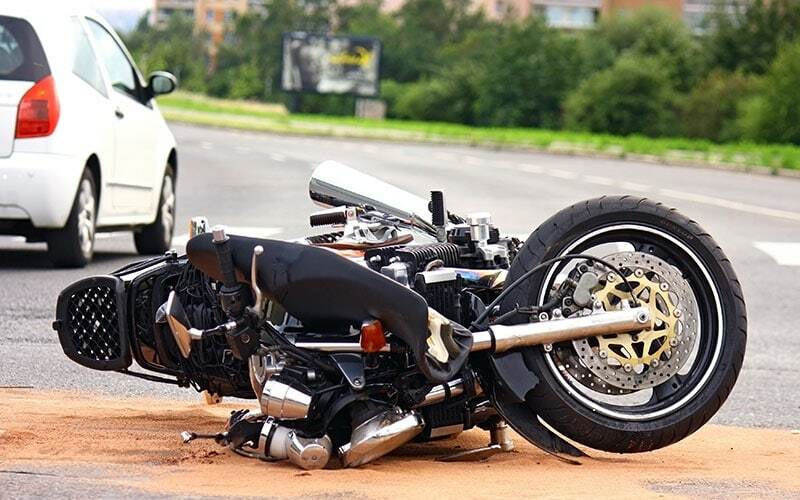 Motorcycle Accident—with less protection than a car, an accident with a motorcycle can be downright deadly. Because most drivers aren’t looking for motorcycles, you’re more likely to be injured by one. Drunk Driving/DUI accident—a driver will be charged with DUI in criminal court. We can begin your civil claim to help you collect the damages you need from the driver to recover. Slip and fall accident—more than just embarrassing, injuries from a slip and fall can be severe. Premises liability laws include falls, dog bites, and other unsafe conditions due to a negligent property owner. Medical malpractice— You trust medical professionals with your life. From birth defects to defective drugs, and everything in between, an estimated 250,000 people die every year from medical mistakes. If you or a loved one has been harmed, a personal injury attorney in Fayetteville should be your next call. N. T. – Mother of three was killed in Griffin when her vehicle was rear-ended by a tractor-trailer owned and operated by a Pennsylvania transportation company. Following a lawsuit filed on behalf of her estate, a settlement was reached just before trial. J. S./Q.B. – While crossing a state highway, two young men were killed after being struck by a Barnesville police officer traveling nearly 100 m.p.h. during an unauthorized high-speed pursuit. The city settled for the insurance policy limit after a lawsuit was filed. I.P. – Father of two was shot and killed in a case of mistaken identity at his apartment complex in Dunwoody. After a lawsuit was filed and successfully responding to several efforts by the apartment complex to have the case dismissed, the defendants settled the case after mediation. M.B. – A grandmother slipped and fell in a major discount retail store in Griffin the morning after a heavy rain flooded the store. The store failed to properly warn patrons of the dangerous condition. M.B. suffered a torn rotator cuff and other injuries requiring surgery and physical therapy. A settlement was reached prior to trial after a lawsuit was filed. A.W. – A mother from Griffin was injured in a motor vehicle accident requiring surgery on her knee. A settlement was reached for the policy limit prior to filing a lawsuit. C.H. – A young man was injured in a motor vehicle accident in Mableton when a flatbed truck pulled out in front of him. The client suffered a broken arm and lacerations. A settlement for the policy limit was reached prior to filing a lawsuit. G.A. – An elderly Columbus woman was injured after being struck by a motor vehicle as she crossed the roadway. Our client sustained multiple injuries requiring surgery and rehabilitation. The at-fault party had no additional assets and the case was settled for the policy limit prior to filing a lawsuit. W.E. – An elderly man was injured in a motor vehicle accident in Griffin when a woman ran a stop sign and struck his vehicle as he was backing out of his yard. The client required physical therapy and made a full recovery. A settlement was reached prior to filing a lawsuit. S.W. – A pregnant woman was struck in a motor vehicle accident in Griffin that resulted in the loss of her unborn child. The at-fault party had no additional assets and the case was settled for the policy limit prior to filing a lawsuit. J.D. – A Marietta man riding a scooter was injured in a motor vehicle accident. Our client suffered a broken collarbone, abrasions, and soft tissue injuries. A settlement was reached prior to filing a lawsuit. R.V. – A convenience store owner was struck by a pizza delivery driver in Griffin. The client suffered a knee injury that did not require surgery and soft tissue injuries. The case was settled prior to filing a lawsuit. A.K. – A woman was involved in a motor vehicle accident on a Mississippi interstate suffering soft tissue injuries. The case was settled prior to filing a lawsuit. A.C./K.J. – Two minors were struck by a motor vehicle driven by an unlicensed teenager in Griffin. The clients sustained multiple injuries requiring surgery. The vehicle owner had no additional assets and the case was settled for the policy limit prior to filing a lawsuit. A.J. – A young woman from Griffin sustained soft tissue injuries after a motor vehicle accident. After a thorough investigation, the case was settled for the policy limit prior to filing a lawsuit. E.A. – A minor from Jonesboro was thrown from the car he was riding in after a motor vehicle accident. The child sustained minor injuries and made a full recovery. The case was settled for the policy limit prior to filing a lawsuit. C.F. – A Griffin woman sustained serious soft tissue injuries following a motor vehicle accident. The case was settled prior to filing a lawsuit. B.C. – A Griffin man sustained serious soft tissue injuries following a motor vehicle accident. The case was settled prior to filing a lawsuit. J.W. – A man was injured in a motor vehicle accident near Savannah and sustained serious soft tissue injuries. After a lawsuit was filed, the at-fault part settled the case prior to trial. P.F. – A woman in Lawrenceville slipped and fell in spilled bleach in a major discount retail store. Our client suffered soft tissue injuries and minor skin burns from exposure to the bleach. The case was settled prior to filing a lawsuit. M.M. – A nurse from Ghana was falsely arrested after being accused of fraud by a credit union in Marietta. Our client spent one day in jail and suffered embarrassment and emotional distress. After all criminal charges were dropped a lawsuit was filed against the credit union. The case was settled prior to trial. Insurance companies aren’t concerned about your wellbeing, no matter what they say when they call you. Their job is to settle your case for as little as possible and close the claim out. They’re not interested in paying you the money you need. So how do you pay for your recovery time? A personal injury or auto accident attorney in Fayetteville, GA can help. From Fayetteville to Brooks, Peachtree City to Woolsley, The Graham Law Firm stands ready to help when you’ve suffered a personal injury. We offer each of our clients personalized service to meet the unique needs of each case. We’ll do whatever we can to hold a negligent party responsible for their actions. When you’re ready to talk to a personal injury attorney in Fayetteville, GA, don't hesitate to contact us. We’re ready to help you get the settlement or compensation that you deserve so you can heal and move on with your life. Our attorneys are here to fight for you throughout the state of Georgia after you’ve suffered any kind of personal injury. Our contingency fee arrangement means you won’t owe us a fee until we win your case for you.